Every woman needs a safe shelter. The tables have turned and Gabby's estranged husband - who threw her out when she didn't live up to his image of a "corporate wife" - needs her in a way neither ever expected. He's begging for reconciliation, but Gabby has moved on, finding purpose and a future in the 'House of Hope'. Not only has she found shelter for herself and her sons there, but she's able to help provide shelter for homeless mums and their kids. And yet... there's a hole in her life. Is God leading Gabby down a new path and giving her something - and someone - new? Or is He redeeming what she thought was gone forever? Who Is My Shelter Audio CD by Neta Jackson was published by Thomas Nelson in March 2011 and is our 19401st best seller. 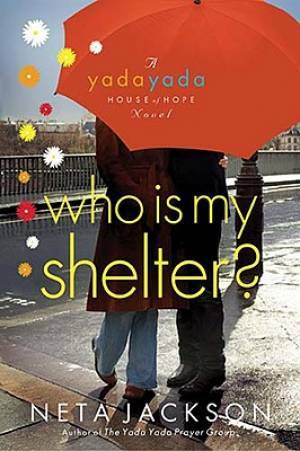 The ISBN for Who Is My Shelter Audio CD is 9781400317110. Great audio book, with plenty of things going on to want you to keep listening to it. Ten CD's which is great value. God will encourage you and teach you many things. Got a question? No problem! Just click here to ask us about Who Is My Shelter Audio CD.